In 1865, General Robert E Lee stated that if the Army of Northern Virginia could make it to the Blue Ridge Mountains, it could hold out for 20 years. Gen. Lee was referring to what soldiers of the era called a "Defensive Guerrilla War." Roman Emperor Hadrian and the world’s greatest military power were brought to their knees by inferior guerrilla bands in the early second century, and because of Rome’s losses to guerrilla raids from the north, it succumbed to a stalemate and constructed a massive wall, known as Hadrian's Wall, to separate its empire from the highland of northern Britain. The power of Rome was withheld its objective of conquering the territory to its north, and the wall that Hadrian built serves as a reminder of what few can achieve against such daunting odds. While familiar terrain and loyal citizens were key to the guerrilla victory, the home field advantage was also appreciated by King Leonidas and his 300 Spartans, alongside their Greek allies, as they defended the Pass of Thermopylae and inflicted at least 20,000 casualties on the invading Persian goliath. Prior to surrendering the Army of Northern Virginia, General Lee, during the American Civil War, seriously contemplated disbanding the army, creating a massive guerrilla force, and relocating it to the mountains. The twentieth century is a recent reminder of how common citizens turned guerrillas could prove to be one strong opponent. By continuing its employment of guerrilla warfare, the Vietnamese demonstrated to the rest of the globe that it was more than capable of defeating a few world powers. Native Americans learned to track and hunt at an early age, and their tactics in (guerrilla) warfare were merely a transition from hunting animals to stalking the enemy. General Ulysses S. Grant, traveling through the South’s Cumberland Gap in 1864 noted: "With two brigades of the Army of the Cumberland I could hold that pass against the army which Napoleon led to Moscow." During the American Civil War, William Thomas, a Cherokee chief and Confederate colonel, abandoned the traditional Napoleonic Tactics in favor of the superior advantages gained by Guerrilla Warfare while in the defensive position known as familiarity of terrain. (See Thomas's Civil War Strategy.) Raised as a Cherokee to become the only white man to ever serve as a Cherokee chief, Thomas was fond of the old ways of guerrilla tactics which had been successfully employed by the Indians for centuries, such as "fight from the base of the ridge, keep the mountain to your back, succor the enemy, and then spring the trap." The natives had been using the tactics against superior forces long before the white man had stepped onto the continent, understood Thomas. Guerrilla warfare was adopted by a young George Washington, as demonstrated while fighting for the British crown during the French and Indian War. The Confederate Army, however, ordered the Thomas Legion to the Shenandoah Valley in May 1864, which resulted in the Union army having a gateway to the South, while it allowed bushwhackers to plunder, at will, East Tennessee and Western North Carolina. One incident, known as the Shelton Laurel Massacre, was the result of the region's lawlessness and anarchy. By abandoning tactics of Defensive Guerrilla Warfare, as it was called at the time, it resulted in the loss of home field advantage and the outright attacks against a defenseless civilian populace, which was also the network necessary to support and sustain the guerrillas in the field. 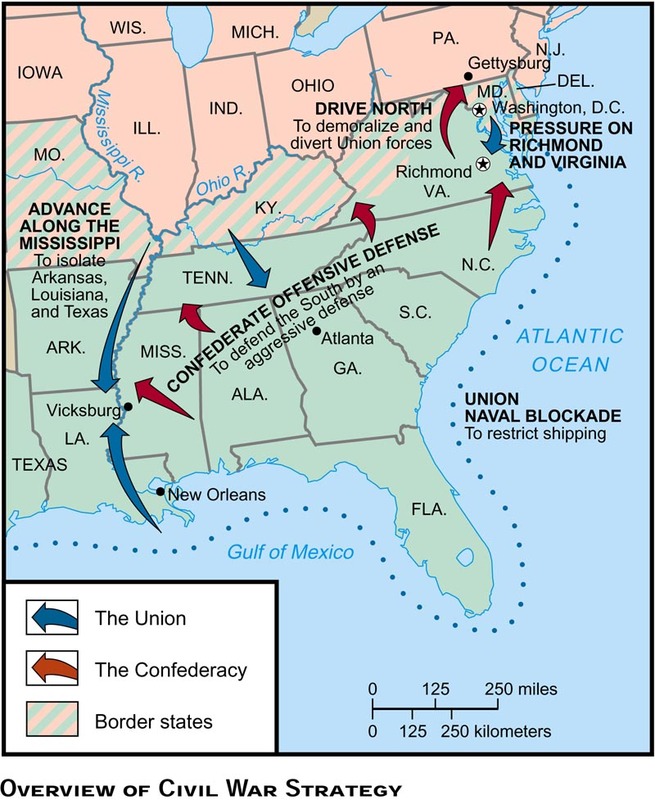 On May 2, 1864, in a letter to "Headquarters Armies Confederate States," General Bragg proclaimed that "General Longstreet’s army having left East Tennessee opened all of Western North Carolina, Northeastern Georgia, Northwestern South Carolina, to incursions of the enemy." And in May 1864, Colonel Black, with the First South Carolina Cavalry, stated that although Thomas and the Cherokees were assigned to Western North Carolina, "a wide gap is open for the inroad of the enemy." Bragg and Black had voiced their concerns the exact month that the Legion was ordered to the Shenandoah Valley. The Thomas Legion, consisting of Cherokee Indians and mountain men, would be the last Confederate unit to surrender East of the Mississippi. The legion captured the Union occupied town of Waynesville, North Carolina, and then negotiated its own surrender terms on May 10, 1865, which was more than one month after Lee had already surrendered to Grant. The last Confederate command of the Civil War to surrender was the First Indian Brigade, under the command of Brig. Gen. Stand Watie, on June 23, 1865. Cherokee Chief Watie's brigade consisted of Cherokee Indians and it had effectively exercised Guerrilla Warfare for the duration of the war, and when the brigadier surrendered his command, he also became the last Confederate general to lay down his arms. The Cherokee had performed well both east and west of the mighty Mississippi, and their battlefield successes were the result of their Guerrilla War tactics. Although there were units of the Civil War known by names such as Partisan rangers, bushwhackers, Jayhawkers, and even raiders, several of the commands enjoyed much success in the conflict due to their practice of guerilla tactics. He gives us a clear picture of the ideological, social, and economic forces that divided the people and launched the conflict. Along with depicting how both Confederate and Union officials used the guerrilla fighters and their tactics to their own advantage, Fellman describes how ordinary civilian men and women struggled to survive amidst the random terror perpetuated by both sides; what drove the combatants themselves to commit atrocities and vicious acts of vengeance; and how the legend of Jesse James arose from this brutal episode in the American Civil War. Mountain Partisans penetrates the shadowy world of Union and Confederate guerrillas, describes their leaders and bloody activities, and explains their effect on the Civil War and the culture of Appalachia. Although it did not alter the outcome of the war, guerrilla conflict affected the way the war was fought. The Union army's experience with guerrilla warfare in the mountains influenced the North's adoption of "hard war" as a strategy used against the South in the last two years of the war and helped shape the army's attitude toward Southern civilians. Partisan warfare in Southern Appalachia left a legacy of self-imposed isolation and distrust of outsiders. Wartime hatreds contributed to a climate of feuds and extralegal vigilantism that lasted for generations. The mountain economy received a monumental setback from the war's devastating effects, laying the groundwork for the region's exploitation and impoverishment by outside corporations in the early 20th century. Some bushwhackers were highly organized ‘fighting guerrilla units’ while others were a motley group of deserters and outliers, and, since most of them were residents of the region, they were familiar with the terrain and made for a “very formidable foe.” In this work, Trotter does a great job on covering the many facets of the bushwhackers and guerrillas, including their: battles, skirmishes, raids, activities, motives, the outcome, and even the aftermath. This book is also a great source for tracing ancestors during the Civil War; a must have for the family researcher of Southern Appalachia.